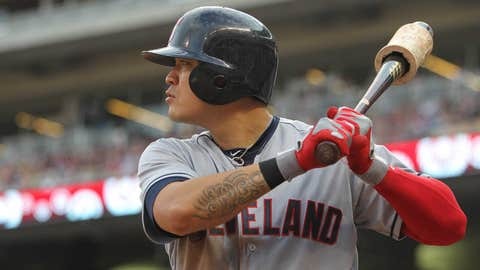 Originally drafted by the Seattle Mariners in 2005, outfielder Shin-Soo Choo spent nearly six seasons with the Cleveland Indians (2006-2012). In light of Shin-Soo Choo’s recent deal with the Texas Rangers, SB Nation’s Rob Neyer decided to revisit the trade that sent the $130 million man to Cleveland in exchange for Ben Broussard back in 2006. Neyer’s e-mail conversation with former Mariners GM Bill Bavasi was quite enlightening, especially the part where he admitted that some of the trades he made that season were "products of his own stupidity". …Even though we operated under some pressure to tangibly improve on a regular basis, the Choo and Cabrera trades were a product of my own stupidity and good work by the Indians. Looking back on it now, both of the trades that Bavasi made with the Indians in 2006 seemed like win-wins for both teams at the time. But no one could have predicted that Choo would turn out to be the player he is today. I mean, the Rangers even gave Nelson Cruz’s number (17) to Choo, which is a clear indicator that Cruz is not coming back — and that they’ve already moved on. With the Nelson Cruz era over in Texas, Choo will have some big shoes to fill. Much bigger shoes than Ben Broussard.